HOURS: Wednesday & Thursday, 4:30 p.m.-midnight and Friday & Saturday, 4:30 p.m.- 1:30 a.m. Open Saturday and Sunday for brunch, 11 a.m.-2 p.m. Closed Monday/Tuesday. Kitchen is open until 11 p.m. on Fridays & Saturdays, and until 10 p.m. Tuesday through Thursday. Jilly's is now open for brunch Saturdays and Sundays from 11 a.m.-2 p.m. Click here for the brunch menu. 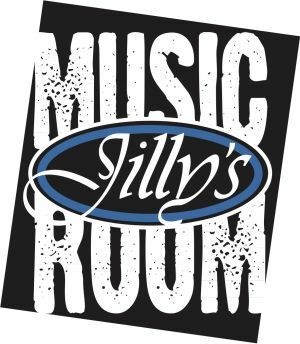 Jilly's Music Room is a live music venue located in the Northside District of downtown Akron, featuring original bands (local/regional/national) in the following genres: Blues, R&B, rock, indie, pop, singer/songwriter, Americana and alt-country. Sophisticated atmosphere offering an eclectic, American tapas menu, craft cocktails, more than 100 beers, valet parking, state of the art sound system and exceptional service. Enjoy happy hour specials from 4:30-7 p.m. on drinks and food. Click here for a menu. Click here to connect to Jilly's on Facebook. Jilly's Happy Hour Wed, Apr 24, 2019 - Sat, Apr 27, 2019 4:30-7 p.m.
Wandering Aesthetics Full Circle Storytelling Wednesday, Apr 24, 2019 7-10 p.m.
Strangled Darlings Friday, Apr 26, 2019 8 p.m.
15-60-75 The Numbers Band Saturday, Apr 27, 2019 8 p.m.
Saturday & Sunday Brunch Saturday, Apr 27, 2019 11 a.m.-2 p.m.